As some of you will know from my Instagram Stories, I’ve been doing a lot of running recently. It began last year, when I finally started to tackle my fitness. I joined a gym, started running, and kept up exercising when I was away from home by doing YouTube workouts in my hotel rooms! I appreciate to a lot of people this is all completely normal, but prior to that I could go weeks at a time without doing any exercise what so ever, and attempts at the gym were always short lived. I’ve actually started to really enjoy going to gym and running, it’s had a really positive effect on my health (both physically and mentally) and I’m enjoying finding out new things that I didn’t realise my body is capable of! This leads me on to doing my first Marathon this year! 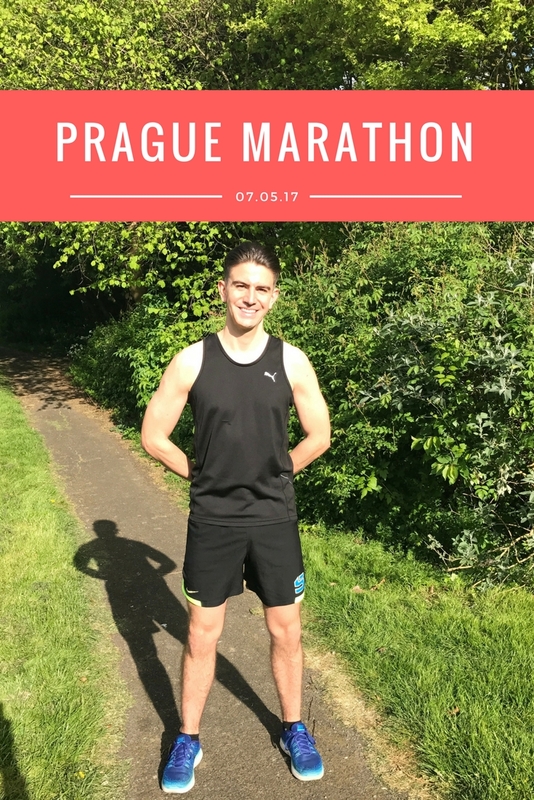 The idea came about with a couple of friends in the pub who thought it would be fun to go to Prague for the weekend and run a Marathon while we are there. I figured that the cheap beer and a weekend away were as good a reason as any so I signed up! 2 years ago I could not have even imagined doing a 10k, let alone a Marathon so I’m feeling really happy and excited that I’ve got this far (and also slightly terrified, the Maranoia is definitely starting to set in!) I’m running 3 times a week, 2 short runs and 1 long one. Each week the long one gets longer, and the short ones also get longer (damn them! ), which has given me plenty of thinking time. As I mentioned, I’ve found physical exercise to be incredibly beneficial to my mental health, which is part of the reason I’ve decided to run for the charity CALM (Campaign Against Miserable Living) which raises awareness of Depression amongst young Men in the UK and is dedicated to dedicated to preventing male suicide, the single biggest killer of men under the age of 45 in the UK. Having experienced Depression and Anxiety in my teens and early twenties, (and most of the time hiding it – I was able to work, appear happy, carry on as normal) it’s so good to see that the stigma and silence surrounding mental health is starting to shift and more and more people are starting to talk about it openly and not feel any shame in doing so. I can count several of my male friends who have contemplated or attempted suicide, and tragically last year one of my friends took his own life. In some of these cases, no one was aware that these people were depressed or suffering, let alone feeling suicidal, which is why it is so important us all to learn to be open about our feelings and mental health and also to listen to and look out for the mental health of others. Prince Harry has also spoken openly about his own mental health with Bryony Gordon in a recent podcast. (link below). More and more Male Bloggers are also talking about their own experiences which can be a huge comfort to read for those experiencing similar things, and personally I’ve found the male blogging community (and blogging community in general) on social media a hugely supportive bunch of kind people who can learn from each others experiences. If you are reading this and are currently experiencing any form of mental illness, I hope it reassures you to know that you are not alone. It’s completely normal, there is help available to you, and no matter how low you feel, you won’t feel this way for ever. I’ve listed some help and further reading below, and if you would like to sponsor me to help raise money for CALM you can visit my Just Giving Page here. Bryony Gordon also set up the fantastic Mental Health Mates – these are regular walks where you can simply walk and talk with like minded people without fear of judgement.